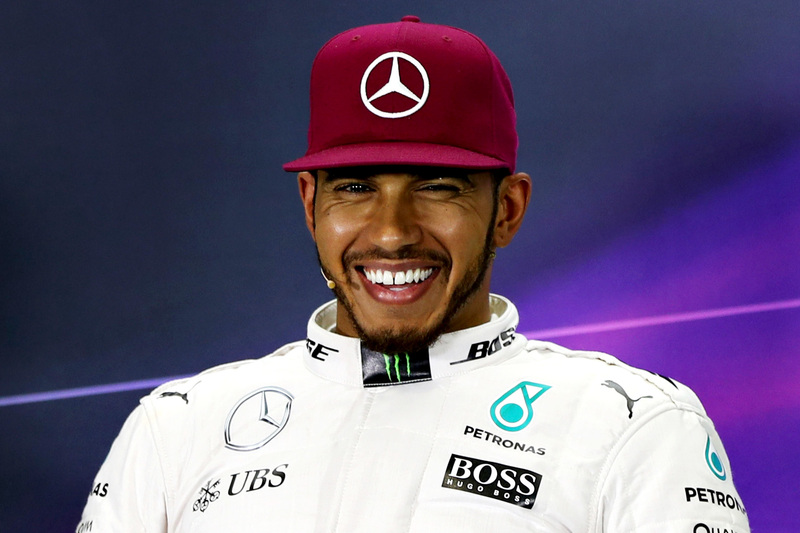 Lewis Hamilton has narrowly snatched pole from his teammate and Sebastian Vettel for the 2016 Canadian Grand Prix. Hamilton’s final flying lap failed to improve on the time set during his first run, but a mistake by teammate Nico Rosberg at the first corner on his last attempt ended the battle for pole early. It was a fortuitous series of events for the Briton, who held a slender 0.062-second advantage over the championship leader. “To be honest it doesn’t matter how far you are ahead, so long as you’re ahead,” summarised Hamilton. “In practice it was a much bigger gap — today I just didn’t have the pace I had yesterday — but it was enough. Rosberg rued the fact that qualifying was within his grasp, but with the Circuit Gilles Villeneuve having one of the poorest records for conversions from pole position to victory, the German was upbeat about his chance despite his last-lap error. “I was hoping you hadn’t seen that one, but apparently it did come out on TV,” he said. “First lap in Q3 was good… then the next one I tried to pull one out of the bag, but it didn’t work out. Sebastian Vettel in his Ferrari emerged as the closest challenger to the Silver Arrows equipped with his upgraded turbocharger. The German lamented less than perfect traction out of the slow corners for the 0.178-second difference between his lap and Hamilton’s benchmark time. “I think going into qualifying I thought [pole] was possible,” admitted Vettel. “As a driver you feel there’s a little bit more. Daniel Ricciardo nudged his Red Bull Racing car into contention, the much maligned Renault power unit, upgraded at the Monaco Grand Prix two weeks ago, proving effective on Canada’s iconic long straights. Ricciardo’s final time was enough to pip a predictably feisty Max Verstappen by 0.25 seconds despite the Australian brushing his rear-left tyre against the outside barrier of the final corner. Kimi Räikkönen, his Ferrari not running the last-minute power unit upgrade in the back of teammate Vettel’s car, could manage only P6 and half a second behind his teammate. Valtteri Bottas led teammate Felipe Massa in seventh and eighth ahead of a race the Williams team is expecting to do well in, but the distance between its cars and those of Mercedes, Red Bull Racing, and the leading Ferrari will be demoralising for the squad and its car designed for this sort of circuit. Nico Hülkenberg and Fernando Alonso in the Force India and McLaren cars were steps off the pace, qualifying 1.140 and 1.526 seconds behind pole position. Carlos Sainz caused an early interruption to Q2 with all of 11:52 remaining on the clock when he nudged his Toro Rosso into the so-called ‘wall of champions’ — the outside barrier of the final chicane — just as his rivals were preparing to set their quick times. Once the remains of is car had been cleared from the pit straight and with just five drivers on the board with anything resembling competitive times, all bar three remaining cars took to the track immediately to log a lap. A narrow 1.1 seconds separated the top 10 and 0.5 seconds divided the remaining six drivers by the end of the session, making the battle for top-10 shootout a tight affair. McLaren battled for a spot in Q3, now regular stated aim along with consistent points, and its new Honda turbocharger kept the team competitive around a Montreal circuit characterised for its famously long straight. But the black Honda-powered cars would have to best Force India’s Sergio Perez and Nico Hülkenberg for the final two places in Q3. Both Jenson Button and Fernando Alonso held provisional qualification, but Perez soon split the drivers to ensure Button ended his afternoon early. Perez, however was beaten by teammate Nico Hülkenberg, who set that fastest time of all four drivers to push Alonso to P10 and his teammate into the knock-out zone, where he remained. Perez and Button qualified on row six in eleventh and twelfth ahead of Daniil Kvyat and Esteban Gutierrez. Romain Grosjean couldn’t beat his Mexican teammate, and was slowest of all in the session bar the crashed Sainz. The first segment of qualifying took place under the threat of rain, which had interrupted free practice three little more than two hours earlier in the day. The sport’s big hitters set their times with minimal issue, but the battle to avoid Q1 elimination intensified as drivers attempted to brave the fickle conditions punctuated with sprinklings of rain. A crash for Kevin Magnussen in Saturday practice meant he couldn’t take part in the session, leaving the goal open for teammate Jolyon Palmer to usurp a struggling midfield driver for a spot in Q2, but the rookie Briton couldn’t manage it, missing out to Haas’s Romain Grosjean by 0.015 seconds. Palmer will start in P17, while Pascal Wehrlein couldn’t convert early impressive pace into anything more than eighteenth on the grid. Marcus Ericsson qualified nineteenth in his Sauber and fractionally ahead of teammate Felipe Nasr, but the Swede’s botched overtaking attempt on the Brazilian in Monaco earnt him a three-place grid penalty. Rio Haryanto qualified slowest in P21, and it was a crash by the hand of the Manor driver that effectively ended Q1 early when he rubbed his rear-right tyre along the wall in the difficult conditions.